Economic Long Waves, Scientific Revolutions, and Plasmoids – Not Junk Science! Here are Ed Lewis’ articles and book on the history of science, current research on matter conversion and plasmoids, how scientific revolutions cause economic depressions, Kondratiev waves and other topics. Many of articles on the site (see the links in the “Economics Articles” page) and my book (see “Book” link above) explain why economic depressions happen every 40 or 50 years. 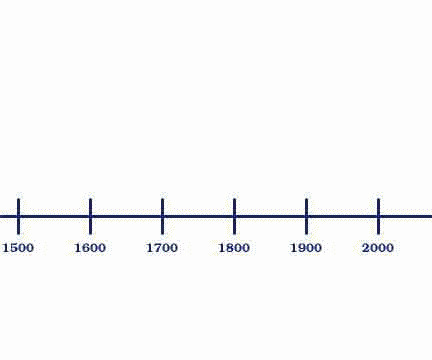 This pattern of depressionary eras is called the Kondratiev long wave. The theory has proven to be mainly accurate up to now for 27 years, and back in the 1990s, I was predicting a depressionary era of the 2010s and early 2020s that we are in the midst of still. 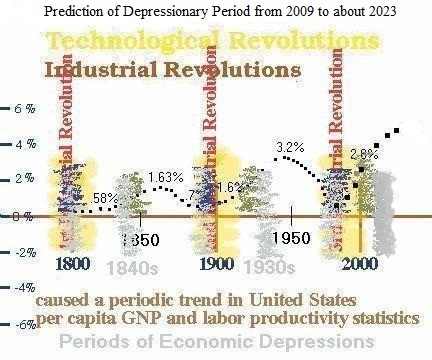 Not only did the model predict the timing of the start of the depressionary era about the year 2009, I also predicted the kind of depression this would be: a technological acceleration depression like the 1930s Great Depression associated with rapid technological progress and rising productivity growth rates. It isn’t an industrial revolution associated a depression or a deep recession long wave dip like the 1890s or the 1970s and early 1980s. To understand this scientific revolution — economic depression model, you’ll need to understand how scientific revolutions and economic depressions are causally interconnected. The economic model presented in my papers and the book was developed in 1990, and it has proved accurate so far. It predicted the 2010s economic depression period and the productivity growth spurt that started in 2000. I also write extensively history of the development of physics and science through paradigm shifts. There were 6 such paradigm shifts from Copernicus in 1506 to Einstein in 1905, and the current paradigm shift that got started in 1989 is the 7th paradigm shift. I call the new paradigm the “Plasmoid Paradigm.” In many papers and the book, I explained why paradigm shifts happened periodically via a logical and simple model. Then, I tried to explain how the periodic nature of technological development causes the Kondratiev wave. Plasmoids are a state of matter. I’ve called it the “7th state of matter.” Naturally existing plasmoids are ball lightning, and they vary in size from more than a kilometer to microscopic size. Many articles on the Physics Articles page delve into the evidence of the anomalous behavior of plamoids and their existence in transmutation and energy production experiments. In old articles, I tried to show that tornadoes are large atmospheric plasmoid phenomena and write about the various anomalous natural ball lightning effects. Studying natural ball lightning phenomena help people to understand what experimentally produced plasmoid phenomena do. Microscopic plasmoids and the conversion of atoms to active micro plasmoids are responsible for transmutation and energy conversion in transmutation and energy production experiments that have been published for decades. There are free economics and physics articles under the respective links above in the black menu bar. Most of those articles were published in journals, conference proceedings, and magazines. The book offered for reading is a long manuscript written mainly in the 1990s. It is much more detailed and comprehensive about the history of science and my original economics and physics ideas. I tie all these seemingly separate topics together in a logical framework. There is a new youtube video on the smartscarecrow channel of my January 9, 2014 interview with Gary Hendershot. Check out the physics links.